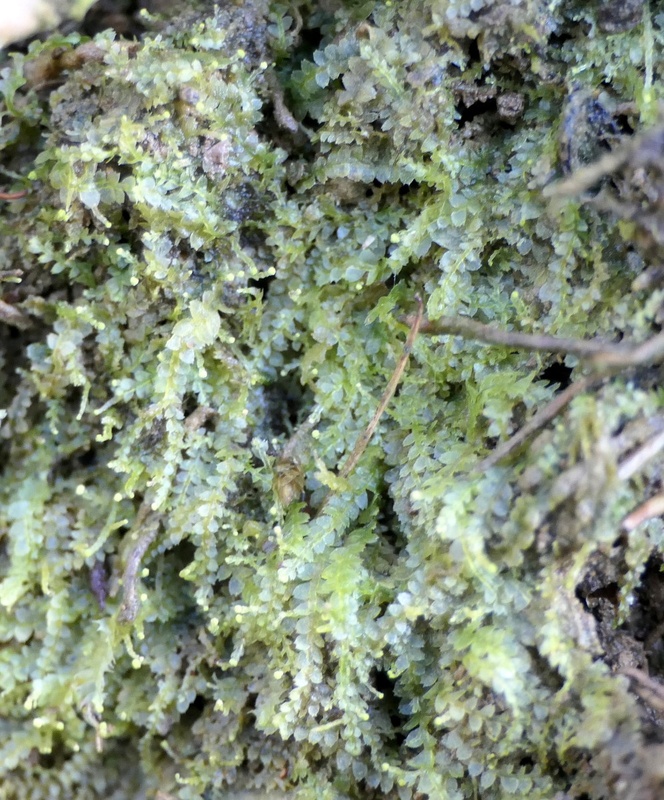 This species is unique amongst British liverworts in possessing a small pair of divergent teeth at the leaf tip. It has flat, pale green shoots 1 to 2.5 mm wide, the individual 1.2 mm long by 1 mm wide and leaves being well spaced, reducing in size towards the shoot tip which is often covered in very pale gemmae. Favours acid soil in shady woodlands or on banks and ditch sides, especially on vertical or overhanging clay or rock. 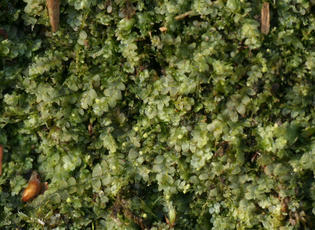 It may also occur in marshy areas, particularly in association with tussocks of purple moor grass (Molinia). Scarce. Found mainly in Charnwood.